iPhone 6 and iPhone 6 Plus is next generation new designed Apple iPhone since the most significant update in iPhone history from apple. So people widely used iPhone 6 and iPhone 6 Plus and now it’s too old after that Apple released four and more new iPhone modes with upgraded internal hardware, Processor and Battery performance and more. Still, it supports the latest version of iOS in 2018. But it is the least iOS version compatible model right now. Running the newest iOS on old hardware is hard. 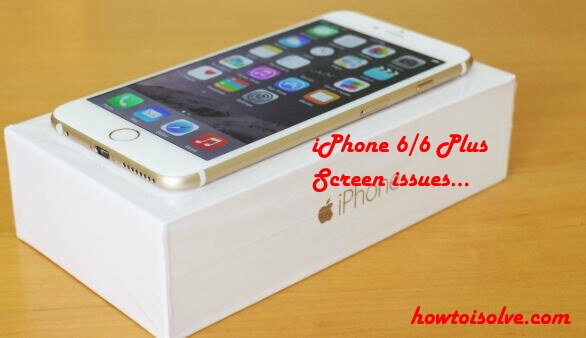 Also, fix the issues related to Screen flickering, Touch issues after dropped, and other iPhone 6 touch disease/ Symptoms & troubleshooting. Quick fix and set to a default value by resetting it. Some Screen mode, Nightshift mode and Background app settings consuming memory. Remove all Data and Settings automatically with clean install latest iOS from Apple Using iTunes. Connect your iPhone 6/6 Plus to iTunes via lightning cable, Click on the Device icon in iTunes > Summary. After backup completed, Click on Restore button on iTunes. You will get Verification popup with Text, You will be lost all data, and Compatible iOS will download at first on Mac or PC. Install it and setup like new iPhone 6/6 Plus. During initial setup, you can restore a backup from iTunes or iCloud. Press and Hold Sleep/Wake button + Home button until you see the apple logo on the screen. Apple is running Screen replacement programme for defective iPhone 6 and iPhone 6 Plus model. Click this link and Find correct information to participate in this programme under apple trusted seal and warranty. This gives the option to contact Apple authorized service provider, Apple Retail store for the appointment, Apple Technical Support. Hope you fixed and enjoyed this article for fix iPhone 6 Plus or iPhone 6Touchscreenn not working after iOS Update. Smartphone users including me are using Headphone, Earpiece and Bluetooth headphone for music, Watch Movies and Receive or Make a call any time. Users noticed many problems that cover in this article. First, one is the Sound stop on change Headphone mode or Stuck the screen, Apple Headphone not sounding batter then third-party Bluetooth headphone, Air pods not connecting and Switching during a call, Boost the Sound of Headphone on iPhone 6/6 Plus. It may be the primary reasons, Are you experiencing this problem after or before iOS update. Note this, take the rollback easily by updating or Downgrading iOS. Third-Party Earpiece Sony, JBL, LG, and many other popular brands. Some settings on the iOS device are too much complex, some settings conflicting internally and Wrong settings can we fix by resetting. Go to the Settings > General > Reset > Reset All settings. This option will make all iPhone settings to the default option. Have you fixed the level of volume for music app? Once you adjust this, you can change it to the set limit only. Go to the Settings > Music > Volume Limit > Increase the value of the slider. Maximum volume limit auto turns off this feature. Also, Enable Sound Check toggle option under Music. Force Restart, Press and Hold sleep/Wake button + Home button until you see the apple logo on the screen. Turn on by press side button only. Hearing Aid improves audio quality with some hearing aids. this setting improves audio quality with some hearing aids. Also, Enable Mono Audio just above the Phone noise Cancellation option. Your iPhone is freezing and unresponsive during playback some media app or call. Check if any update available under settings > General > Software Update. Or Facing issues of iPhone 6 Headphone Volume, Downgrade current iOS to previous. Or Reset the device to factory settings. Connect iPhone to iTunes via lightning cable. Go to device summary > Restore. Before restore to latest iOS all content and settings will erase from iPhone 6/6 Plus. After that, we can restore the most recent backup from iCloud or iTunes if we have taken before restoring process. Are you thinking hardware damage on the Headphone jack, Contact apple support to check deep scan and say to fix it free if under warranty. Keep backup before new iOS update, really serious task for all that never neglect, we are receiving many request for help in restore accidentally lost contacts, and the forums and Discussion guide this question is always at top. 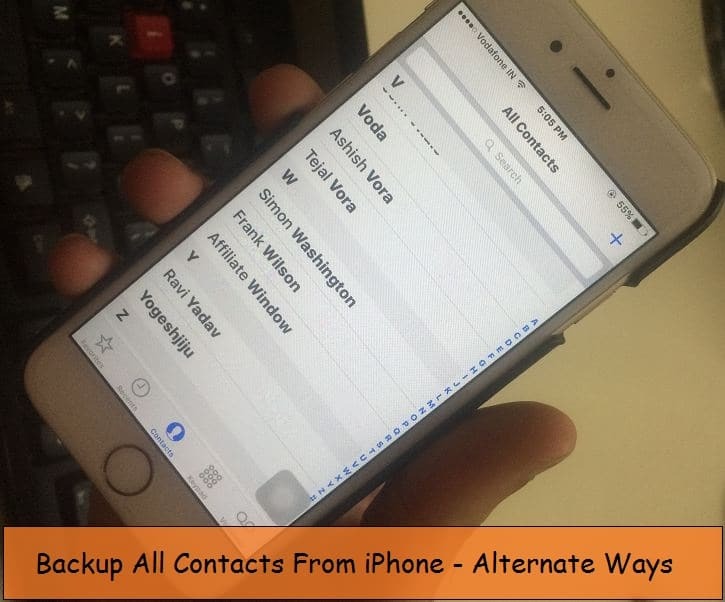 Here is the ultimate guide on what to do as a prevention steps for Contacts Backup from iPhone 6, 6 Plus/ 6S, 6S Plus. Depends on your situation and location you have wide options on ways to save all contacts from contact app on another device or on cloud for later time easy to review and restore. Multiple Easy options for online backup, Offline Backup. Please take another copy all time before update, in a second you may lost very important data (Contacts) than any other. 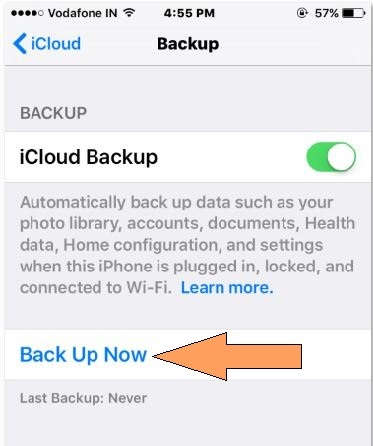 Contact Backup through iCloud is official way to use on any other iPhone/ Mac or Other Apple Device from restore it on device, directly. Step 2: Next, Tap on iCloud > Enable toggle on Contacts. Backup all iPhone contact in on one tap, This app create contact file for send it on Mail or save on online cloud. Also easy for restore on new device or for future time. This app is available in different 15 languages and Solved 12 lacs+ iOS users about backup contacts on iPhone. Also help to clean contact app by remove duplicate contacts and Saved with no name. No sign in or registration, simply launch app and backup all contact in app then share it through Mail. Contact backup create in to different File as of your restore process. Excel, VCF (VCard), So you can use this app with limitation of 500 contacts backup at once, But the pro features is really awesome. Above are the alternate techniques for Contacts backup from iPhone 6/ 6 Plus, 6S/ 6S Plus with iOS 9 then restore or extract. Once again let’s look at our recent list of top best iPhone 6S cases in 2018. After the great cases of iPhone 6S Plus. No bulk in size and slim look, easy to place in your pocket, sufficient to hold on charging dock, All around protection shockproof, dustproof, cases made using superior technology so much security heavy duty Since now you can use your real value iPhone 6S/6 without any upset. Five best iPhone 6S Cases that you can buy in 2018. Spigen is a popular Cases maker brand in the USA and internationally. 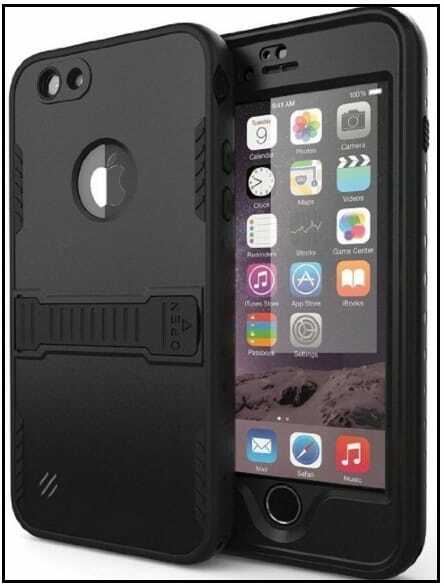 This case crafted from the hard PC and TPU bumper proof. It provides Edge to edge protection; it has air cushion so that help defends against impacts and drops. Quickly charge iPhone, allows port for 3.5mm headphone jack, easy to control Volume buttons, camera cutouts means the complete case for Apple iPhone 6S/6. The iPhone 6S/6 leather wallet folio case offers by the Verus. Slim and sleek look natural beauty leather case. 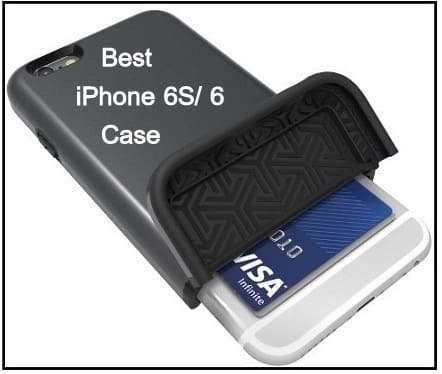 This iPhone case users have inside pocket for cash, business cards, credit/debit card slots. Secure magnetic closer and yeah one notable thing is that the case has the cutout at iPhone front speaker so easy to hear with the close case while on call. 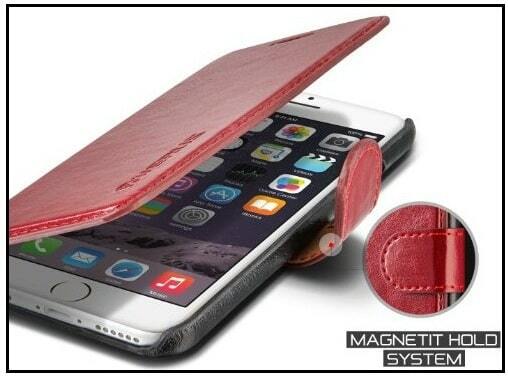 The durable stitched leather case is easy to install and delivers cutouts for Apple logo and iSight camera. 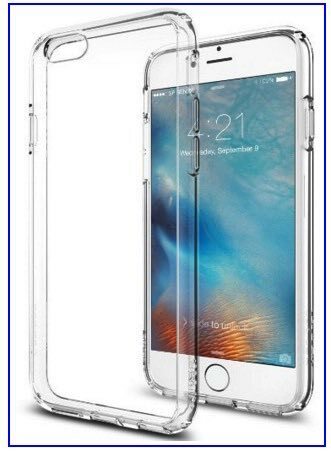 This unique iPhone 6S/6 case out of all Phone covers in the marketplace and an online store. Pc back panel & TPE interior heavy duty wallet case for iPhone 6S and iPhone 6. The Hidden slot on the back part of the case that used to place bank card, ID proof, or transportation card like the bus pass. It comes in ultra violate makeup so fresh for everyday use, and that prevent case against unsightly scratches, watermarks, messy fingerprint, etc. Provide long-lasting protection on the bump, accidentally drop. Available in blue, white and black color. It’s a good review wireless charging case for iPhone 6S/6. 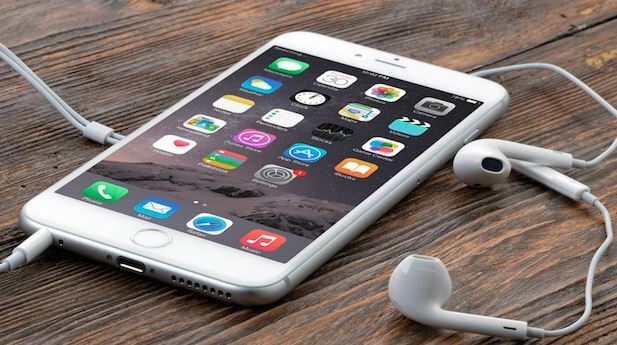 According to rumors, you can make your iPhone 6S/6 wireless rechargeable. This charging case works with every type of charger including PMA wireless charger and Qi wireless charger. 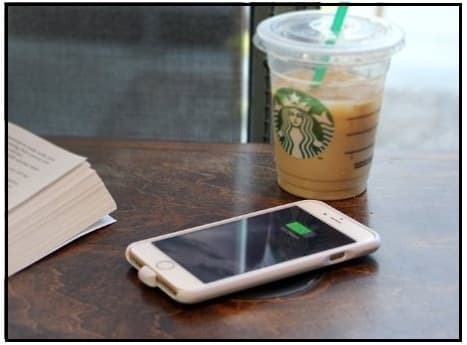 Now wireless charging facility available many places including Starbucks, McDonald’s and other public places, as well as vehicles by GM and Toyota only for iPhone 6S and iPhone 6. 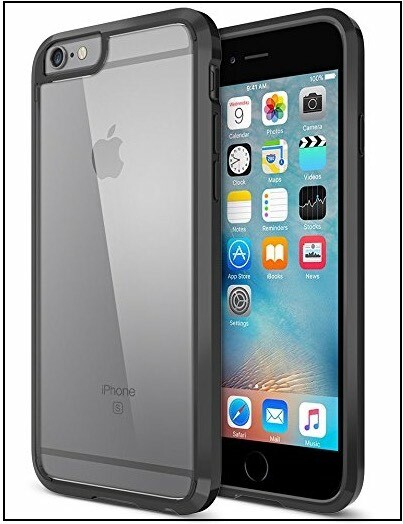 Perfect fit and fully Convenient iPhone 6S/6 waterproof case, it has recognized by an IP68 standard. The waterproof stand case is properly sealed from all sides and tested. Inherently, the waterproof iPhone case is not used for daily use but while you’re planning to the pool or beach with your kids or single. lets you guys, Add into the cart and get in the box – Case, headphone adapter, user manual, cleaning cloth, and 12-month hassle free warranty. Learn here how to fix animated wallpaper not working on iPhone 6S or later iPhone running latest iOS. Apple’s new 3D touch iPhone XS Max, iPhone XS, iPhone X, iPhone 8 (Plus), iPhone 7, iPhone 7 Plus, iPhone 6S, & iPhone 6S Plus comes with worth features out of them, one of is a live photo, and they allow set as a live wallpaper. So this built-in feature is attracting more users. But, you can also use live wallpaper apps for your iPhone. The Animated/ Live wallpaper is giving great experience, in more, it is the best option for those folks who don’t like to set the static wallpaper. Are you a Big Fan of Animation picture or Dynamic Wallpaper, Apple Introduced Dynamic Wallpaper on Desktop on MacOS Mojave. To set live wallpaper is very easy. However, many users are reporting their problem as live wallpaper won’t work on ithe Phone. It might be due to the particular software glitch. The live wallpapers are not “animated” by themselves; you have to push a bit with 3D touch to see them moving on the iPhone screen. Notwithstanding, you are not satisfied, then refer following instructions carefully to resolve Animated wallpaper not working on iPhone. ‘’Press on the Screen to see the wallpaper animate’’. You should try once remove animated wallpaper and set still wallpaper after that try again to Set animated background. In most case, this fix works well. Get more here how to change wallpaper on latest iOS. After trying it. However, animated wallpaper showing you same issue, then you should go with next troubleshooting. Keep in mind: Animated background only works on the iPhone 6S or later look screen, not on the Springboard (home screen). First of all, make sure Low Power mode toggle is turned off. In case, you have Low Power Mode enabled iPhone, then temporarily stops certain features on your Apple iPhone. Affected features including dynamic Wallpaper (live background, animated wallpaper) and Perspective Zoom switched off, email fetch, background app refresh, automatic downloads, and some visual effects are reduced or turned off. You can read more about low power mode from here. Step 2. Tap on Battery. Step 3. Check now the toggle of Low Power Mode on/off. So whenever the animated background does not work due to low power mode ON, then hope above fix would help you. Note: Please you turn toggle next to the Low Power mode off/ White. I mean, your iPhone top status bar battery icon must green not yellow. In iOS 11 or later, you can add Low power mode to the Control Center. This approach will give you shortcut to operate LPM on your iPhone quickly. An ideal and time-saving feature of iOS 11. Get here more to Adjust 3D touch sensitivity on iPhone. Live wallpaper is a just pleasure. Even though, it eats more battery than the static wallpaper. 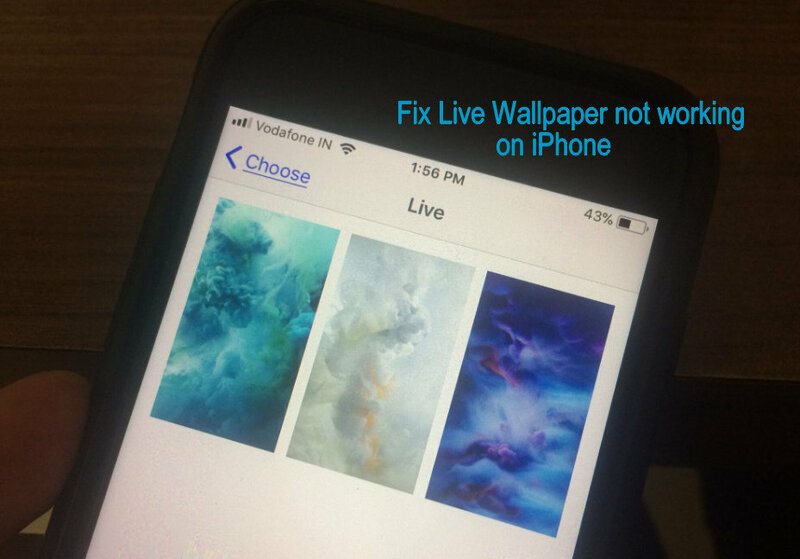 Please share your feedback in the comment box below, be helpful to others by sharing given solution of Animated Wallpaper not working on live wallpaper supported iPhone. Ever trouble to use moving wallpaper on your iPhone. Don’t Worry. Get here how to fix Live Wallpaper not working on iPhone. 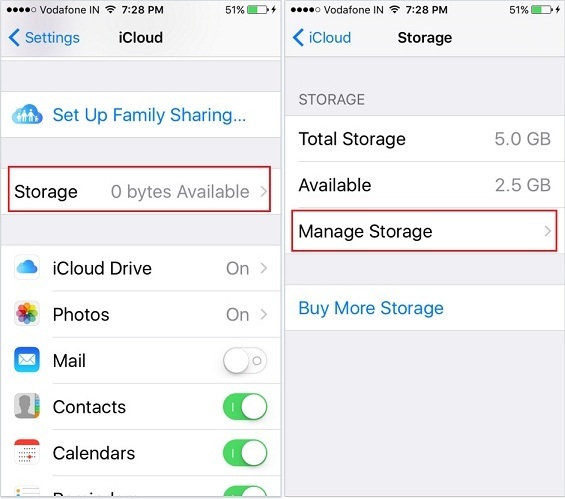 There are best ideas as tips to reduce storage on iPhone 6S/ 6S Plus. Here I’m giving you the best solution to minimize room on iPhone, which is running on the latest iOS. Generally, each iOS app has its own documents and data, so guess, if we gather all apps data in a bucket, then it would produce a large size of data’s. And at the end, all apps takes much space in your iPhone. Sometimes, some of the users have no storage in iPhone to take even a single photo. And almost this problem has quickly occurred with those folks who have 16GB storage capacity iPhone 6S/ 6S Plus or earlier 16GB iPhone models. 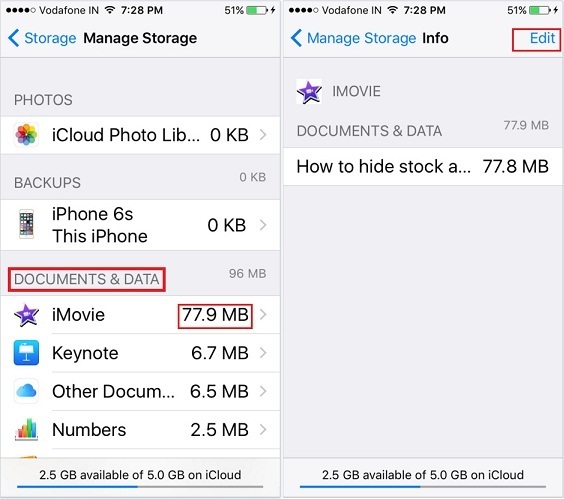 So if you have no idea to handle it, then check out following steps to reduce storage on iPhone 6s, hope this would be helpful for you. So you will ask your data will be immediately deleted from iCloud and all of your devices. In case of you’ve backed up already then tap on Delete. Otherwise take back up and then try to remove it. You must remove unused apps (documents and data). Besides, take a back up, and you should delete immaterial pictures and videos from photos app, take backup of Whatsapp messages and videos and then do delete documents and data of Whatsapp on iPhone. Now, what you want to get much free up space on your iPhone/iPad then try this way. 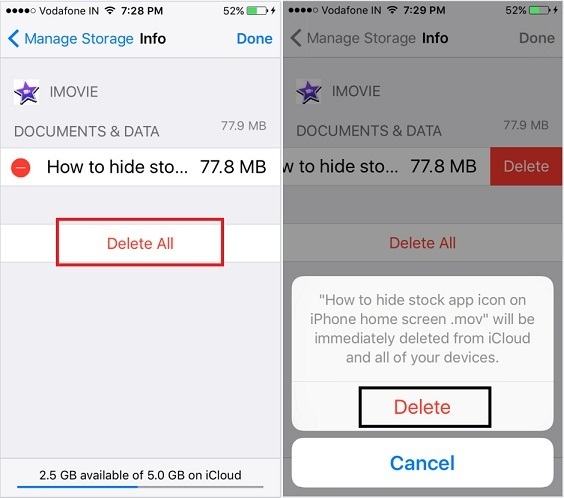 Please share your deliberation in the comment and tell us which annoying message is compulsion you to reduce storage on iPhone 6S. 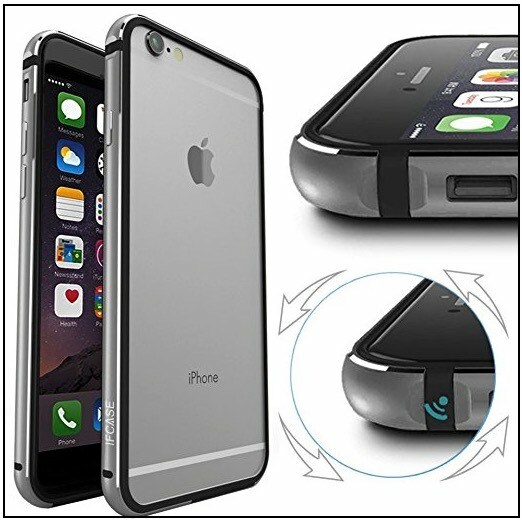 Fully protection on iPhone 6S, I recommend the bumper case that gives protection from the bump, scratches, and hard touch or heavyweight comes on the body. Now, gorgeous designed iPhone 6S cases available on different price and protection commitments, But here are most popular and trusted best iPhone 6S cases for protection in the different price tag for all budget. Note: iPhone 6 and iPhone 6S comes in same screen size, 4.7 inches. So you can try your favorite iPhone 6 case for iPhone 6S as well. 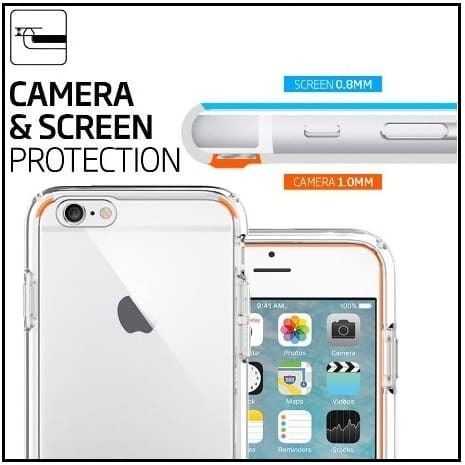 Durable Spigen iPhone 6S case in beautiful color and clear interface for professional looks. Grab the most considerable discount on special offer for a limited time right now available on the spigen case. Get Clear cutouts for easy access to all input control and pro protection on any types of body damages. 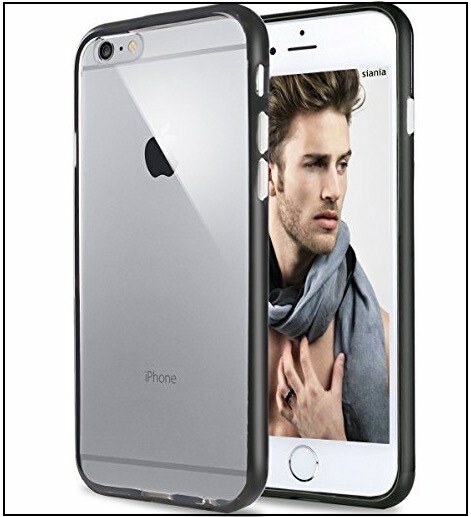 Premium quality material bumper case perfect for iPhone 6S. Made from TPU fusion and PC. Thinnest case maintains your iPhone 6/ 6S weight and size. Shock absorption technology. Titanium featured with two layer protection, save from bumps. Solid body material also used for hard nail scratches and more. Slim and transparent body material enhance the original color or body looks. So, this item is durable, Easy to use and perfect on iPhone 6S dimensions. Otterbox pro features iPhone 6S case comes with tens of different body color and looks. Portable back stand will helps to stay your iPhone own self and gives hands-free media viewing experience. Trusted 1-year case warranty. 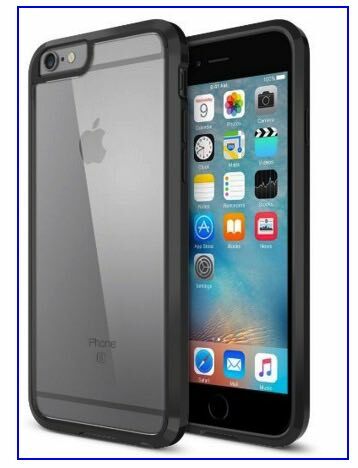 Add to bag on Amazon ($37.06) little more expensive compared to other but #1 best iPhone 6s cases for protection. Ailun case is defined to accord the most exceptional protection for your iPhone 6s and iPhone 6. It is mainly designed with a black strip on the border and complete transparent back so that you can personalize device by inserting stickers or photos to make it attractive. The case is entirely created with perfect TPU material to resist against any scratches, fingerprints, shock and other hard bumps or knocks. The ergonomic material provides you a subtle edge to maintain grip in hands, and even it is straightforward to remove it without any harm to the device like scratches or fingerprints. Different colors of borders are available you can select your one among them. Trianium case is featuring with additional protection with a stylish look to iPhone 6 and iPhone 6s. The Phone case is engineered with an ultra-strong hard TPU dual-layered durable material for the better safeguard of iDevice. 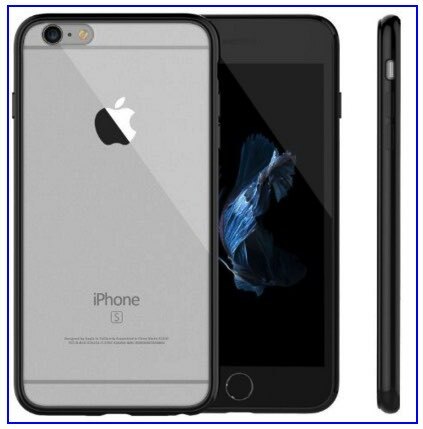 After employing the case on iPhone, it will keep slimness along with protection from significant damages such as scratches, knocks, bumps and much more which can let your device down. Precisely it has all the cut-outs to access ports and cameras without any interruption with clear crystal back surface to increase visualness of Apple logo. Give your iPhone adorable looks with unique colors and pattern. This phone case is all in one multi-purpose case which is adaptable for iPhone 6 and 6s. It is specially made to give supplementary shield from catastrophic activities which can discontinue your enjoyment while using gadget. Rhinoshield cases are available in a wide range of colors so you can select your matching one. It consists of excellent TPU material with a soft grip on the sides for the betterment of the device, and you will not feel bulky while operating iPhone. Safeguard’s inventive design will let you access all the ports, speakers and cameras with complete protection. IFCASE’s case is synthesized with aluminum material to make iDevice more durable. Aluminum material provides an exclusive look to iPhone with its beautiful exterior trimmed cut-outs pattern and iPhone bumper corners. 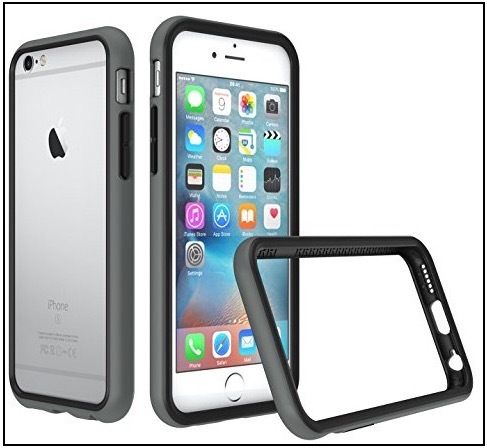 The TPU Frame prevents the device from shocks and knocks along with scratches. The case is specially designed for iPhone 6 and 6s with all the cuts for better use of features. Along with protection iPhone will get extreme attention with its glimpse and finally get rid of carrying bulky cases and make it best buy for you. The phone case is available in four different colors, select one which suits your iPhone. Now, Share your experience which one you like most from above most trusted reviewed best iPhone 6s cases for protection and get lifetime free mind experience.